Add to your library’s digital collection today with Taylor & Francis eBooks. We have over 25,000 eBooks in the Humanities, Social Sciences, Behavioural Sciences, STM and Law, from leading imprints, including Routledge, Focal Press and Psychology Press. We want you to be able to choose the right eBooks for your users. That is why we have created several purchase options. Whether you want to subscribe or purchase outright, invest in whole subject-specific collections or ‘Pick & Mix’ individual titles, there will be an option to suit your needs. Massive selection of e-books. Over 300 000 English e-books from leading international publishers. Springer eBooks is the largest collection of STM (Science / Technology / Medicine) books online. Thousands of new eBooks, eReferences and eBook Series titles every year. 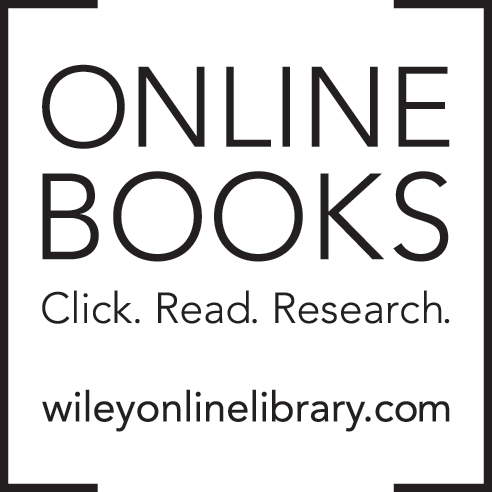 Hosting one of the world’s most extensive multidisciplinary collections of online resources covering life, health and physical sciences, social science, and the humanities, Wiley Online Library delivers access to over 4 million articles from 1,500 journals, 14,000 books, and hundreds of multi-volume reference works, laboratory protocols and databases. Featuring a clean and easy-to-use interface, this online service provides intuitive navigation, enhanced discoverability, expanded functionalities and a range of personalization and alerting options. World Scientific and its imprints publish more than 400 books a year. In total, they have published more than 7,000 books in the various fields of science, technology and medicine. World Scientific and its imprints are known to publish titles by prominent scientists, many of which are Nobel Laureates. World Scientific has over 2,000,000 pages of content and more than 300 titles are added each year. SpringerImages is a comprehensive collection of over 5 million scientific and medical images. Scientific research has become progressively more focused on raw data and visual forms of learning and communication. These visuals come in many different forms, ranging from charts and graphs to high-quality photos. SpringerImages spans science, technology and medicine in 18 subject collections with over 5 million photos, graphs, histograms, tables and more. Springer’s zbMATH is the most complete and longest running reviewing service in MATH. zbMATH, well-known under its former name Zentralblatt MATH, contains more than 3 million entries drawn from more than 3,500 journals, 1,100 series and currently about 170,000 books, with coverage across mathematics, statistics, computer sciences and the applications of these disciplines in engineering, physics, and the life sciences. Reviews are currently written by more than 6,500 experts from all over the world, and around 120,000 new items were added in 2012. It covers the period from 1868 - in some cases from 1826 - to the present. SpringerMaterials is the world’s largest and most comprehensive research platform dedicated to information on materials, their properties and uses. It encompasses all volumes of Landolt-Börnstein New Series, the largest and most respected compilation of data in physics and chemistry founded in 1883, along with a number of unique and specialized databases. All content is critically reviewed by 1000+ external experts in the relevant fields! SpringerMaterials employs an intuitive and efficient search system that ranks data based on metadata relevance and full text search. Also browse for element systems using the periodic table, draw chemical structures and substructures! Complete bibliographic data is provided, along with links to the original content. SpringerProtocols is the world's most comprehensive collection of tested, trusted life sciences protocols. Protocols are step-by-step procedure “recipes” organized in a standardized format that can be executed in a controlledlaboratory environment. Available through springerprotocols.com as well as link.springer.com, libraries and corporations can offer their patrons online access to high quality, reviewed protocols instantly from multiple locations, including library, office, home, and on the go. Artech Access offers eBooks from one of the most highly regarded publishers in high technology. For more than 40 years, Artech House has been the “go-to” publisher for engineers and managers in communications, microwave, radar, electronic defense, antennas, GNSS/GPS, computing, microtechnology, bioengineering, and other high-tech fields. Featuring some of the most well-known authors in the field, Artech is known for top-quality content with an emphasis on practical, problem-solving applications. ArtechAccess includes many of our most popular recent titles as well as classics explaining the crictical fundamentals that continue to be relied upon day-in and day-out. SAGE publishes high-quality reference content including handbooks, major works, and encyclopedias that cover critical subjects in the social sciences, science, medicine, etc. You can buy these SAGE’s award-winning Reference products from us individually on a title-to-title basis. Sage Reference titles are available online via SAGE Knowledge Platform. Launched in June 2012, the SAGE Knowledge platform hosts reference and book titles across the social sciences. SAGE Knowledge is the ultimate social sciences digital library for students, researchers, and faculty. Hosting more than 2,700 titles, it includes an expansive range of SAGE eBook and eReference content, including scholarly monographs, reference works, handbooks, series, professional development titles, and more.